The Federal Government has urged state governors to adopt laws and policies that would bring an end to violence against children and other cultural practices that hinder their development. The Acting President, Prof. Yemi Osinbajo, made the call in Lafia on Saturday at an event to mark the 2017 Children’s Day. The theme of the celebration was “Child Protection and the Sustainable Development Goals: Issues and Opportunities”. 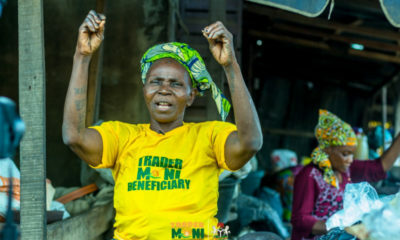 Osinbajo’s speech was read by the Nasarawa State Commissioner for Youths and Sports Development, Bamaiyi Anangba, who also represented Governor Tanko Al-Makura at the occasion. Osinbajo renewed federal government’s commitment in ensuring that the rights of the Nigerian child are protected. He urged other stakeholders to join in the fight against child violence and ensure that Nigerian children enjoyed their rights. 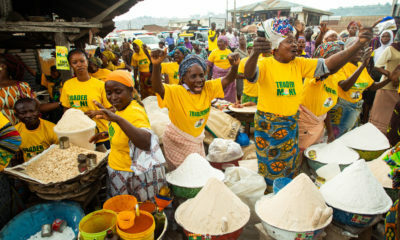 Osinbajo also disclosed that the federal government was providing one free nutritional meal to over 1, 274,620 pupils in 9,212 schools in nine states of the federation under its Home Grown School Feeding Programme. The acting president also reaffirmed that the federal government would continue to accelerate programmes and investment through ministries and agencies to build protective services and empower families and children. “As a country and as a government, we cannot afford to delay efforts that will ensure protection and development of our children through preventive approaches,” he said. He appreciated security agencies for their efforts so far in protecting Nigerian children against danger and violence in line with the provision of extant laws but urged them to redouble their efforts. 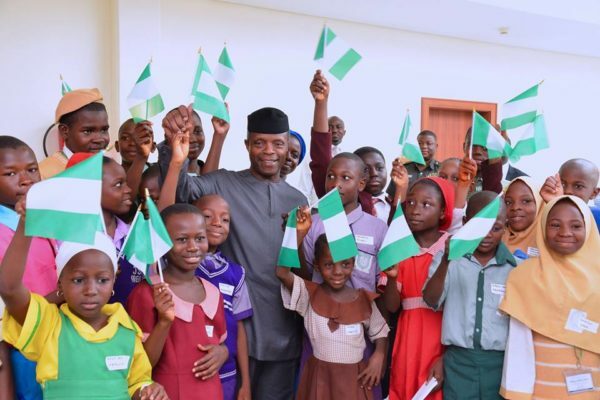 Osinbajo congratulated the Nigerian children as they celebrate their day. Earlier, the state Commissioner for Women Affairs and Social Development, Mary Enwongulu, admonished parents in the state to take proactive measures that would protect children against any form of violence. “Children are social gifts and blessing from God. Let us recommit and rededicate ourselves to ensure their protection and well-being in all situations and circumstances,” she said. 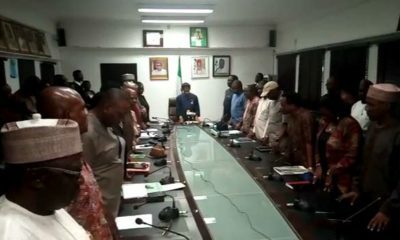 The commissioner also renewed the state government commitment to continue to key into good policies and programmes that have direct bearing on the lives of the people of the state and Nigerians at large. Osinbajo is up to something! He’s trying to ingratiate himself with the masses – trying to show Nigerians how unpresidential Buhari has been by being too presidential. Well…..just shows how YOU are because that is how you think…a backstabber in real life. When your friend’s or associate’s backs are turned you take the plunge and stab so deep. Cheers man! shut up there, he is not trying to show Nigerians how unpresidential Buhari is, it is only constitutional that in the absence of the president, the vise president will act, our president is physically unfit at the moment and away to receive medical care, so Osinbajo will fill in the gap. if he is not trying hard, people like you will complain, he is trying hard and still people like you will say he is trying to make PMB look unpresidential, that make it difficult to please folks like you. Thank you acting president, I hope you guys will criminalize violence against children. Put stricter laws that will protect children against violence from their oppressive masters/mistresses.